Mytra (miss-trah) is a busy and devoted deity. She provides and tends to the Weave, the conduit that allows mortal spellcasters and users of magic to safely access the raw force that is magic. Essentially, Mystra is the Weave. As the goddess of magic, she is also the deity of the possibilities that magic can bring about, making her one of the most powerful beings involved with Toril. Although she is good and has the ability to prevent the creation of new spells and magic items that her philosophy opposes, she rarely exerts this ability unless the creation could threaten the Weave or the balance of magic in general. Mystra's church preserves magical lore in secret and hidden places so that magic would continue to flourish in the future even if the dominate races of Faerun were to fall. Its members also search out those skilled in magic or have the potential to use it. Her clerics are encouraged to explore magical theory and create new spells and magic items. Sites dedicated to the goddess are enhanced by the Weave to allow any spell cast by her clerics while in one of those sites to have one metamagic effect without the requisite need to take up a higher-level spell slot. 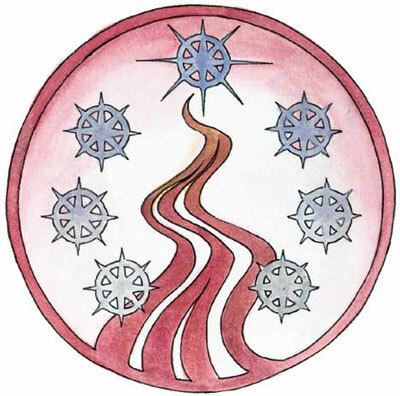 Mystra honors the commitments that members of her clergy who joined before the Time of Troubles made to the previous goddess of magic (who was Lawful Neutral). They have not been forced to leave the clergy due to alignment differences. Clerics of Mystra pick one time of day or night to consistently pray for spells. They celebrate the 15th day of Marpenoth, the anniversary of the ascention of the current Mystra from her mortal form, but otherwise have few calendar related rituals, focusing more on a personal style of worship. 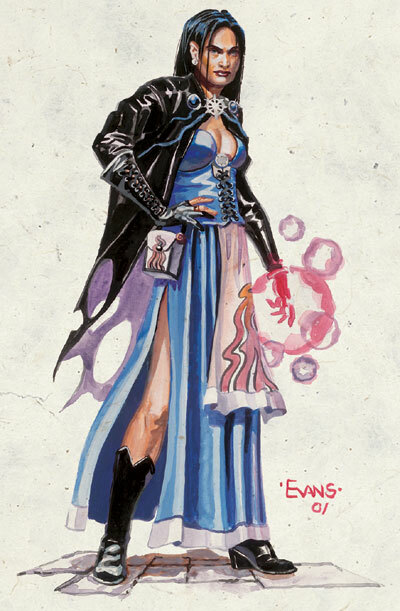 Her clerics usually multiclass as some kind of arcane spellcaster. History/Relationships: Mystra was once a mortal wizard named Midnight. She assumed the fallen Mystra's portfolio and divinity during the Time of Troubles. Her allies are the deities of knowledge, Mystra's customary advisor (Azuth), Selune (creator of the deity Mystryl, later called Mystra), and Kelemvor, whom she knew as a man when she was mortal. Helios Marten is a cleric/wizard of Mystra. Tunaster Dranic was also a priest of the Lady of Mysteries until his demise.